How Can Improving Your Credit Score Save You Money on Car Insurance? 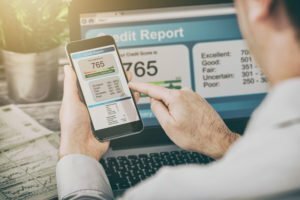 People are always looking for ways to save money, and improving your credit score can do exactly that, and reduce your car insurance premium. But what does your credit score have to do with auto insurance? The answer goes back to statistics and how insurance companies measure risk. Statistically speaking, people with lower credit scores get into more accidents and file more auto insurance claims. The opposite is true of people with high credit scores: they get into fewer accidents and file fewer claims. Make on-time payments. Paying on time adds to your credit score while late payments can be detrimental to your score. Make sure that you make all your payments on time to increase or maintain your credit score. Review your credit report for any errors. About one in five people have an error in their credit report. (You’d think that with a 20 percent error rate we would use another form of analyzing financial status, but we don’t live in a perfect world.) Make sure that your credit report is free of all errors. Just because your risk is low, does not mean you are accident-safe. You want to have a quality auto insurance policy in place for financial protection. To get the coverage you need to be protected post-accident, contact Pierce Insurance Group in McKinney, Texas today. We can help you answer these questions!